Construction work in confined spaces, such as tunnels, poses a unique risk to those working on site. One of these risks is the danger of collision between pedestrians and plant machinery. The project team identified the Plant Pedestrian interface within the tunnels to be a high consequence risk. 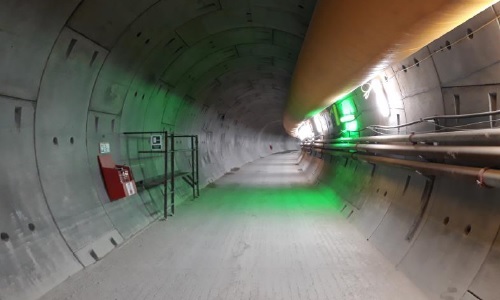 Refuge bays exist in the tunnels to minimise the risk of collision and injury. However, it was felt that the refuges needed to be emphasised to aid both pedestrians and plant operators. Additional green fluorescent lighting was therefore introduced to draw attention to the refuge points. Monitor report. Ferrovial Agroman Laing O'Rourke JV. London. March 2018.